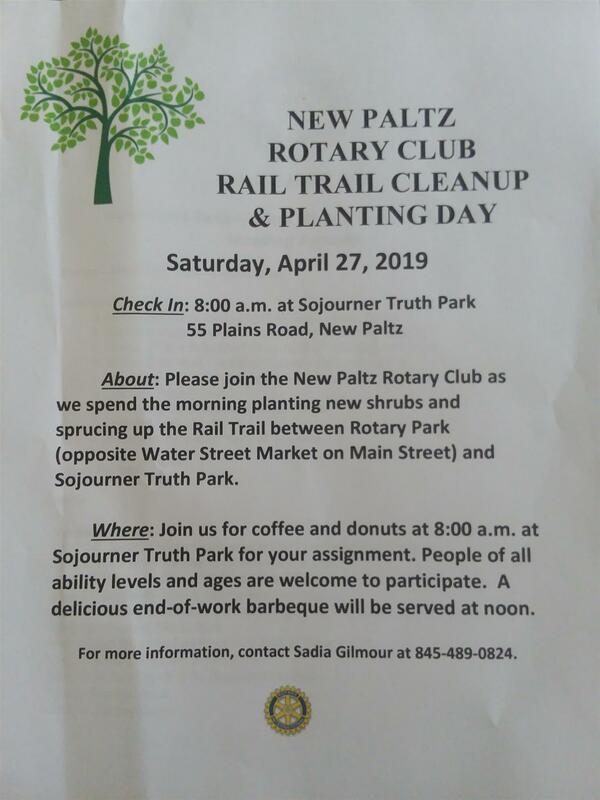 Saturday April 27 is the New Paltz Rotary Club Rail Trail Cleanup and Planting Day. It starts with coffee and donuts at 8am at Sojourner Truth Park and finishes there at noon for a delicious end-of-work barbeque. All ability levels are welcome to come join us as we spend the morning planting new shrubs and sprucing up the Rail Trail between Rotary Park and Sojourner Truth Park.